EII Welcomes Dr. Lawrence Tinker as its New Assistant Director! I-STREET testbed deploys the internet of things for traffic research. MIST Center focuses on hardware that enables the IoT. 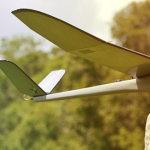 Gator Engineering Led Company, Altavian Awarded $250M US Army TUAS Contract! Born in the swamp, Engineering Innovation Institute played a key role in getting Altavian off to a great start. Augi lye wins Gainesville Magazine’s Spirit of Gainesville Entrepreneurship Award. 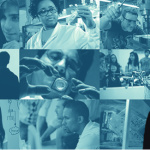 The University of Florida celebrates its largest cohort of engineering leadership certificate recipients. The University of Florida Herbert Wertheim College of Engineering is seeking a full-time Administrative Support Assistant II to serve in the University of Florida Engineering Innovation and Engineering Leadership Institutes. 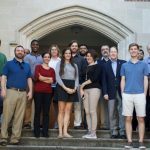 The University of Florida Herbert Wertheim College of Engineering is recruiting a Lecturer or Professor of Practice to serve in the University of Florida Engineering Innovation Institute. 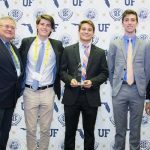 UF Wins 2nd place at 2017 SEC Student Pitch Competition! 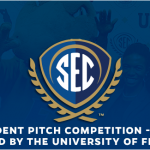 Engineering undergraduates from Sarasota area place in Top 2 in SEC Student Pitch Competition.